It's that time of the year... or not anymore. I know I'm a bit late, but better late than never. I always posted a best list and even if 2014 wasn't my best reading year as far as the number of novels I finished are concerned, I thought it was still a good idea to share. My life changed a lot last year with the birth of my daughter, my second child, but as she reached one year old, I think that I have now managed to return to some of my hobbies, reading and blogging included. 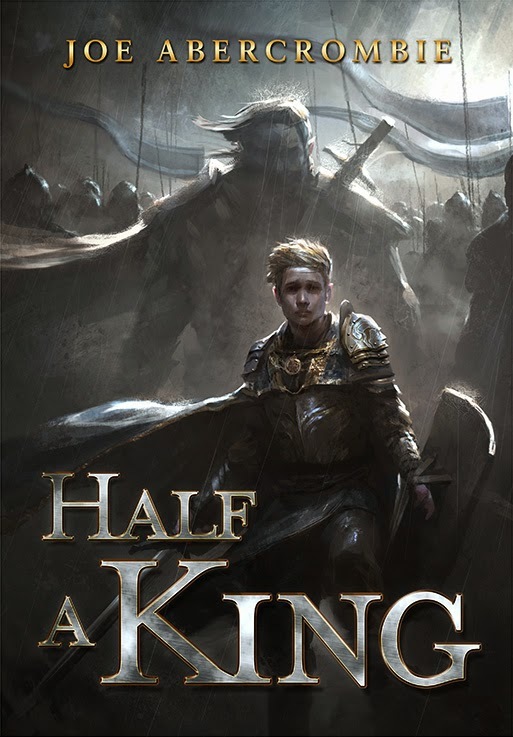 Moreover, I really wanted to finish Joe Abercrombie's Half a King, which looked like a great contender. Alas, even if I think that it's a very good book (my review here), it was enough to make my list. Neither is Mark Lawrence with Prince of Fools, (my review here) another very good book. So even if I didn't manage to review as many books as usual, 2014 was still a good crop for Fantasy!!! 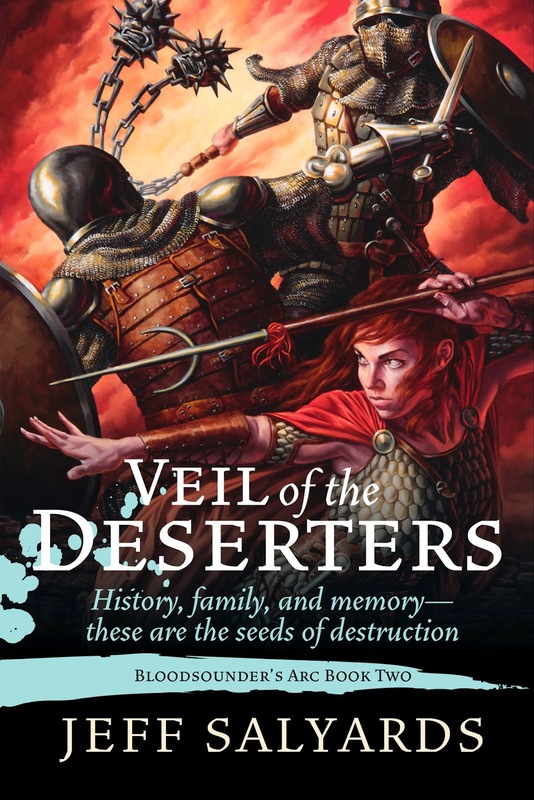 Veil of the Deserters is the second book in the Bloodsounder's Arc series by Jeff Salyards. Two years ago, I named Jeff my favorite Fantasy debut of 2012 and he didn't disappoint me with the follow-up. That series explores many interesting themes in an original and imaginative setting. It's a blast! Next on the list is the "origin story" of Bloodsounder, Killcoin infamous weapon. In this case again, Arki is privy to detailed explanations granted by the need for his skills in deciphering old texts. The state of the world and the disappearance of the gods are even mixed in with this, finely expanding on the mythology, theology and geography (I'm looking at you the Godveil). Add to this the reason behind Emperor Cynead recall and you get a storytelling explosion. The last chapters are simply amazing. What else is there to consider? The author writing feels even more intuitive and competent while retaining the straightforward aspect and atmosphere we witnessed in Scourge, all for the greater benefit of the delivery of a first person perspective. The descriptive aspect of it makes the world more vivid than most authors can achieve and the battles scenes could only be praised for a second time around. I was there even if it was not always easy to witness it. Simply a great story, with fascinating themes, meaningful characters and close combat action aplenty. 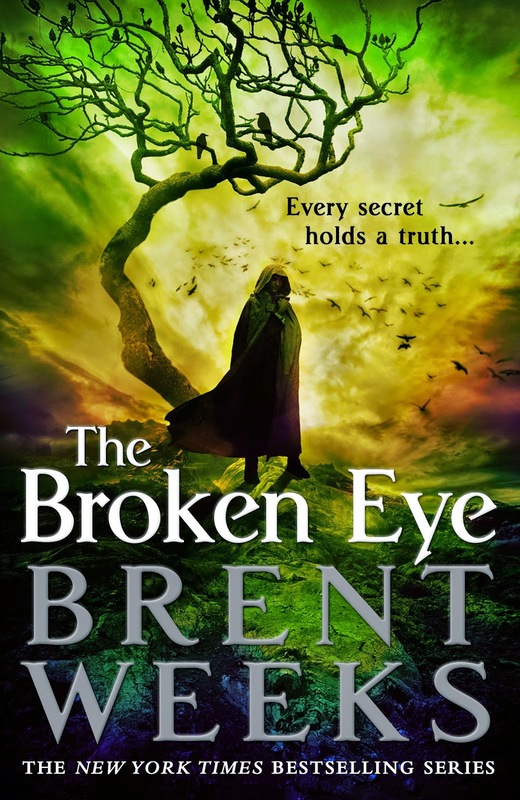 Brent Weeks' The Broken Eye is the third book in the Lightbringer series. With each new novel in this 4 books planned grand opus, Weeks story and more importantly his characters grow on me. With Brandon Sanderson's Stormlight Archive series, Weeks is at the head of the big fat Fantasy books of old evolution and it feels right at home on my shelves. When I finished The Blinding Knife, I knew that Weeks had four books planned for the series but it felt as if it was only the start of a long series spanning 10 or more volumes. And in the case of the Lightbringer series previous entry, it wasn't that the story was voluntarily extended, it's simply that no definitive endings were in sight and I enjoyed myself so much that I would have liked to spend much more time with Weeks' characters than the planned four books. Consequently, that's still the felling I have after having read The Broken Eye and that's a good sign. I think that the Lightbringer series will be one of the Epic Fantasy series that people compare other series to, if it can finish as it started. It's not outstanding, but it fills a gap in the Epic Fantasy field alongside the likes of Brandon Sanderson's works. The meticulously crafted world of Weeks is expanding, opening up and it feels like it's been energized in The Broken Eye. The solid and original but sometimes obvious magic system shows no limit. It's now simply in the details, in the doctrine of the Chromaturgy and the way it's been twisted that the magic of the author's intricate creation really shine. That support for the cast is a mitigating factor explaining the enjoyment I wrote about earlier. The birthing process was arduous and scholarly but it ended up as a classy proposition. I hope I was able to show you how good and entertaining but not without flaws this series and particular novel are. I did say charming and I meant it. Many characters are simply heroic and against all odds, they succeed. A happy ending? Yes, in some storylines, it looks like a no-brainer. But judging by the characters killed, there's still hope of more surprises. And Brent, please take into consideration the info dumps like the payer of the Broken Eye (ouch) or all the recurrences on the previous books story. Gavin flashbacks were a blast tough. Give us more of his past! A prequel! As I mentioned for The Broken Eye, Words of Radiance is right up my alley in term of big fat Fantasy novels and in this case, it will span 10 books. Words of Radiance is not without flaw but it's a memorable read that speaks well for the future of the Stormlight Archive. 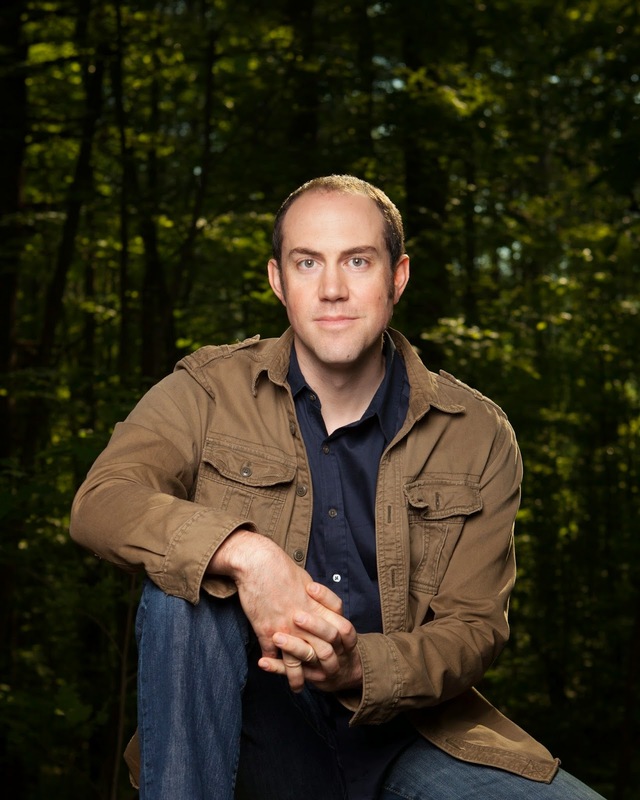 Worldbuilding and magic systems are always a priority of Sanderson. The basis for WoR is already solid. Slowly, the focus is taken away from the Shattered Plains, even if it's the full story that's taking place there. The highstorms, sprens, shardplates and blades, fabrials, lashings, the Stormfather... all feel natural. The icing on the cake is the ability for him to make it even more fascinating. It's accepted but it's novelty. With the surprises at the ending... anyone want to know more about the Everstorm and its effects? As a complement to the rich tale of the book, the mad king Taravangian and his random daily intelligence that spawned the prophetic diagram is making his plays. The meta story is becoming more complex and the intrigue thickens while the characters remain at the core of this tapestry. 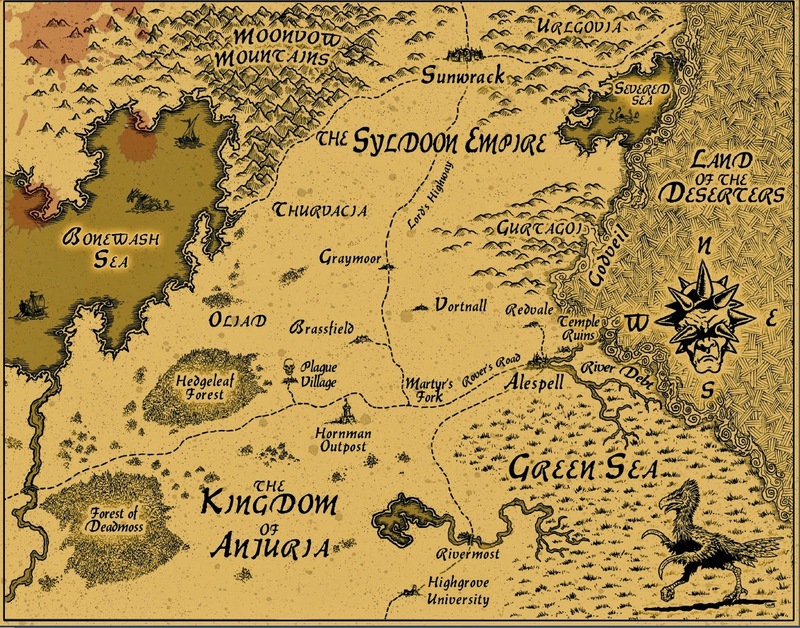 Although the first half of the novel felt like a big epilogue of The Way of Kings in term of overall situation and had the same central setting, a whole new set of opportunities has opened in an intriguing new region. The Stormlight Archive can now be seen as an impressive series, not simply a prelude of great things to come. 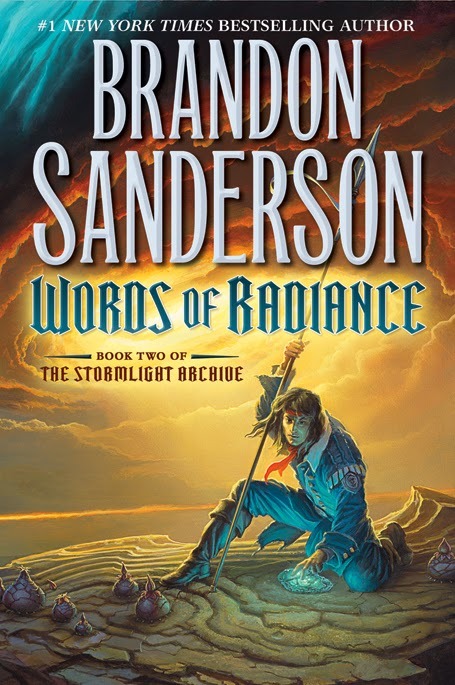 Words of Radiance is a fascinating successor to The Way of Kings, but again it's not a revolution and has its flaws. 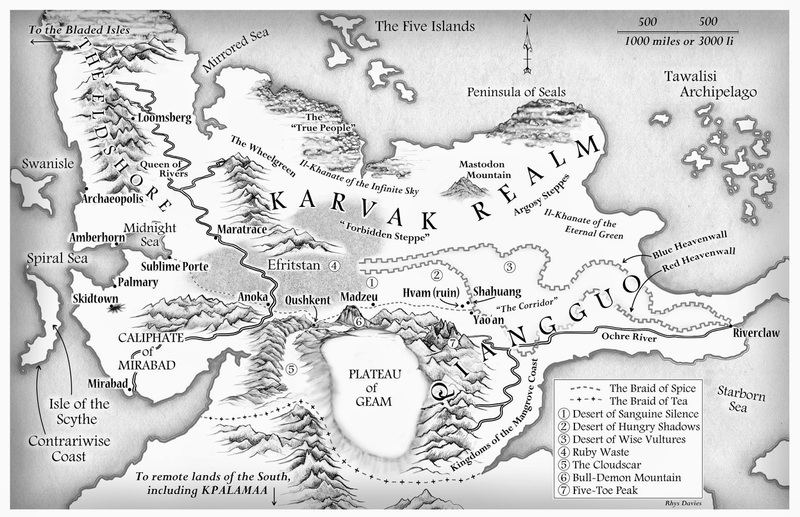 If I come back to the question I asked at the start of the review, I would say yes, Brandon Sanderson is a master, but not The master, of traditional, lengthy, magic heavy, classic but dexterously crafted, Epic Fantasy. WoR proves it for me. A very good read. As you can see, there are enough original Fantasy elements to please everyone but the genre bending aficionado. I already pointed out that the Kettral are a very good idea and you can consider that Staveley's magic system had some work put into it. It's not ''showing'' too much and we learn about it step by step, not simply in a rhetoric lecture in a class. In a nutshell, the leaches are magic practitioners who gather forces through a well which can be almost anything. This is where it becomes interesting, the leaches hide their well from each other. This feature is used more than once by the author to create unpredictable situations. The Emperor's Blades presents its share of surprises but mostly by holding back some information from the reader (the author should work on this). The wells of leaches are an example. Still, the book offers a good dose of action, more so when some of the different threads connect and is written with just the right amount of description and a pace keeping the reader interest high enough to make a satisfying page turner. And there's some great original swearing! To wrap things up, I would return to my opening statement, The Emperor's Blades is not the new thing that everybody will speculate about. 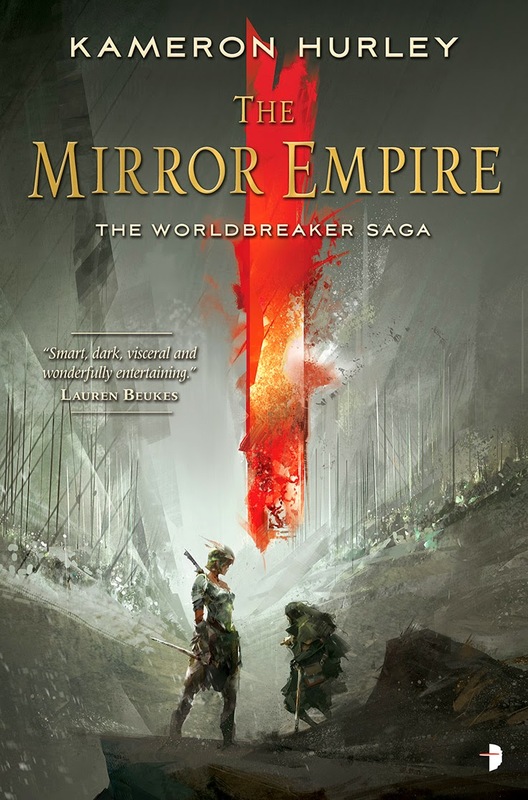 However, it offers interesting characters and even if the story and much of the "Medieval-themed" world building is conventional, it will quench the thirst of Epic Fantasy lovers in need of something familiar with some novelty here and there. A commendable debut that will bring you back to old Fantasy we use to love. In 2014, I read both Anthony Ryan's debut, Blood Song from the Raven's Shadow series and the follow-up, Tower Lord (I realized that I never reviewed the book...). Blood Song was a big surprise (even if the reviews were pretty good). Sadly, the follow-up isn't really... but I'm not here to review the second book but to tell you how great Blood Song is. Orders, brotherhoods or guilds. They have been part of many Fantasy stories, even more so when their members are young men or women (for the latter it's less frequent...) dumped by their parents, beggar children or vagrants in need of a home or thieves in need of redemption. Usually, while being related to some kind of religion (war is often an aspect of Gods found in Fantasy) these orders were put in place to educate youngsters in the art of fighting in various forms with some entity behind it all, a religious organisation, an Empire or a rich patron. Sounds familiar enough? If you have read books like Paul Hoffman's The Left Hand of God, Elspeth Cooper's Songs of the Earth or more recently The Emperor's Blade by Brian Staveley, it should. 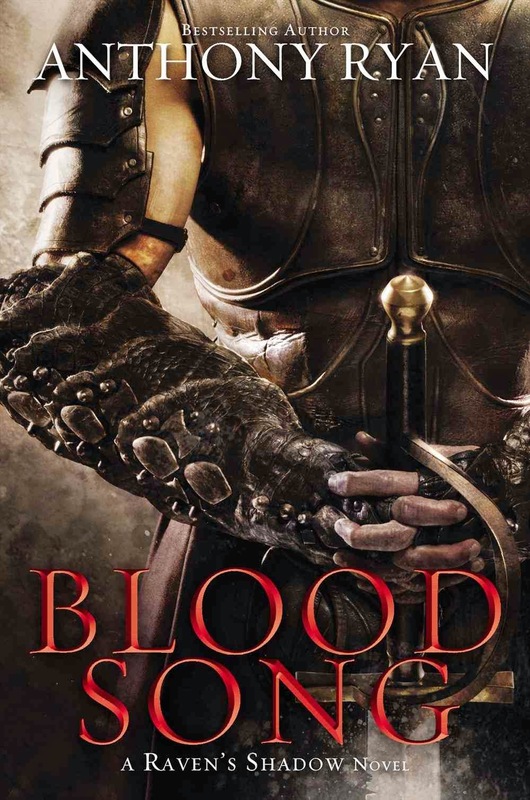 In comparison with the first two novels I enumerated, Blood Song succeeds phenomenally. Within the Sixth Order, right from the start of the book but after an introduction with his future self, we find ourselves following the exploits, failures, hardships and joy of the larger than life Vaelin Al Sorna. The world in which the young man tries to take his place is a grim one, reminiscent of the darkest period of the Middle Ages, but, even within the confines of his Order, he will find ways to prove himself. It's the story of the coming of age of a legend, a dangerous man whose actions will change the world. There's a specter of prophecy surrounding him, within and without his Order, which becomes solely the mean to hone him as a weapon as he eventually grasp the ins and outs of the world. Blood Song is a great debut. 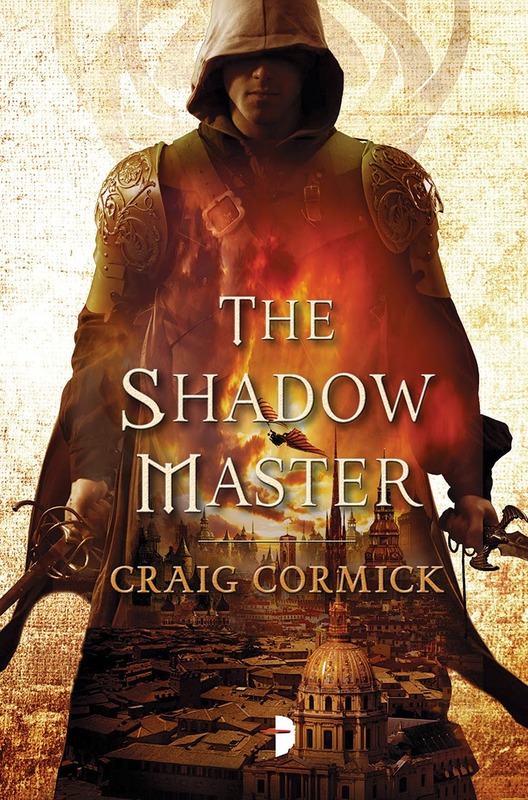 I'm convinced that with a first book in a series as strong as this one, the Raven's Shadow is worth keeping an eye on. It's not groundbreaking Fantasy but as you live the story of Vaelin right alongside him, and I really mean live it. You won't forget it. Really an exceptionally compelling character. I'm glad that Ryan persisted in his quest to be published. Some great reads here. Veil of the Deserters, Words of Radiance, and The Emperor's Blades all made my best of list as well, while Weeks and Ryan are both on my TBR list. You make the best "end of the year best of" lists from all of the blogs I regularly follow!! I think our tastes match very much so I'm gonna go back to the previous years' lists and make any unread book my top reading priority! Thanks Antonis, your comment is appreciated. Thanks for sharing this list. You've bumped up my reading list nicely with this. If you enjoy action role play and dungeons & dragons style adventure, this book really is a must read. I'm on my second read now and that is something I very rarely do with any book. Even better on second read. Awesome book from a great author.